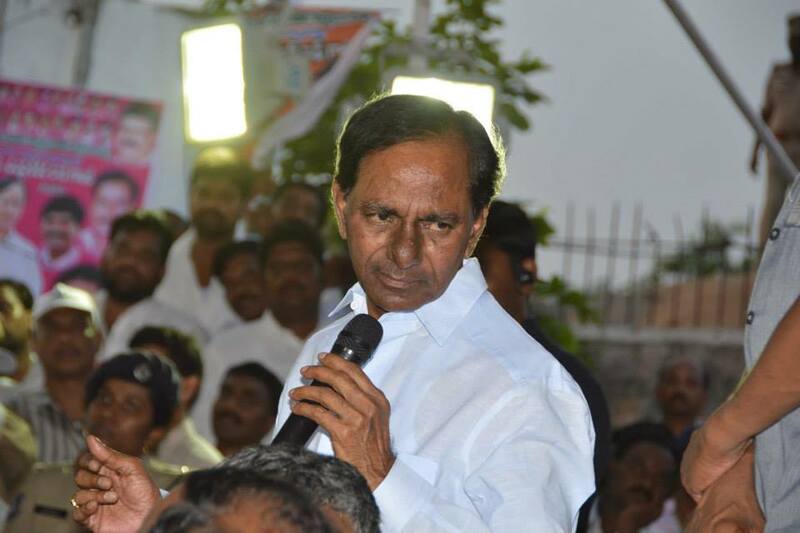 KCR claimed that certain people were trying to malign the government. Days after several dozen farmers went on a rampage, vandalising the Khammam Market Yard Office, Telangana Chief Minister K Chandrasekhar Rao claimed that it was a ‘political conspiracy’. Stating that certain people were trying to malign the government, KCR said he would make everything public at the ‘appropriate time’. According to reports, he also added that cases would be booked against those involved in the incident, if necessary.KCR was holding a meeting before the House took up a discussion on Land Amendment Bill on Sunday. On Friday, the frustration of chilli farmers in Khammam city turned into ferocious anger, as visuals showed a number of farmers smashing the entire interior of the market office to pieces. Besides breaking chairs, tables, doors, computers and windows, some of the protesters even smashed ACs and pulled down fans. They also dragged much of the furniture to the entrance of the office, where they proceeded to set it all on fire. The farmers were upset with the falling prices of chillies in the market, which had reportedly dropped to Rs 3,000 per quintal, compared to the Rs 10,000 per quintal that they were demanding as the minimum amount required for them to break even on production costs. The farmers also said that the current system, in which most of their crop is bought up by middlemen who buy low and sell high, puts them at a further loss. This makes the struggle to break even much harder. Lamenting that the government had failed to buy their crops and help them out of their crisis, the farmers also burnt large piles of chilli crops that they had brought with them. The police later stepped in and brought the situation under control. Meanwhile, several farmers and political leaders protested on Saturday, after three people were reportedly arrested in in Mudigonda, in Khammam district, for their alleged involvement in the incident. The Deccan Chronicle reported that several people staged a ‘dharna’ in front of the police station for more than three hours. “Instead of resolving the problem of chilli farmers, the government is using force to suppress their voice. There is no security for farmers in TS. The CM is trying to implicate innocent farmers in police cases,” the DC report quotes TPCC working president Mallu Bhatti Vikramarka as saying. The chilli farmers’ protests have been ongoing for almost a month, and farmers hope to persuade the Union Central Government to intervene and help them survive the crisis. Telangana Irrigation Minister T Harish Rao has already requested the Centre to provide 50% assistance under the Market Investment Fund, which will help to stabilise the farmers’ income. However, the Centre has reportedly told the state that it couldn’t extend financial assistance, as it was overburdened with several other states facing the same problem.